The “Burrito”, an open top pouch will come equipped with Springs that maintain a positive retention to assure the contents remain secured within. 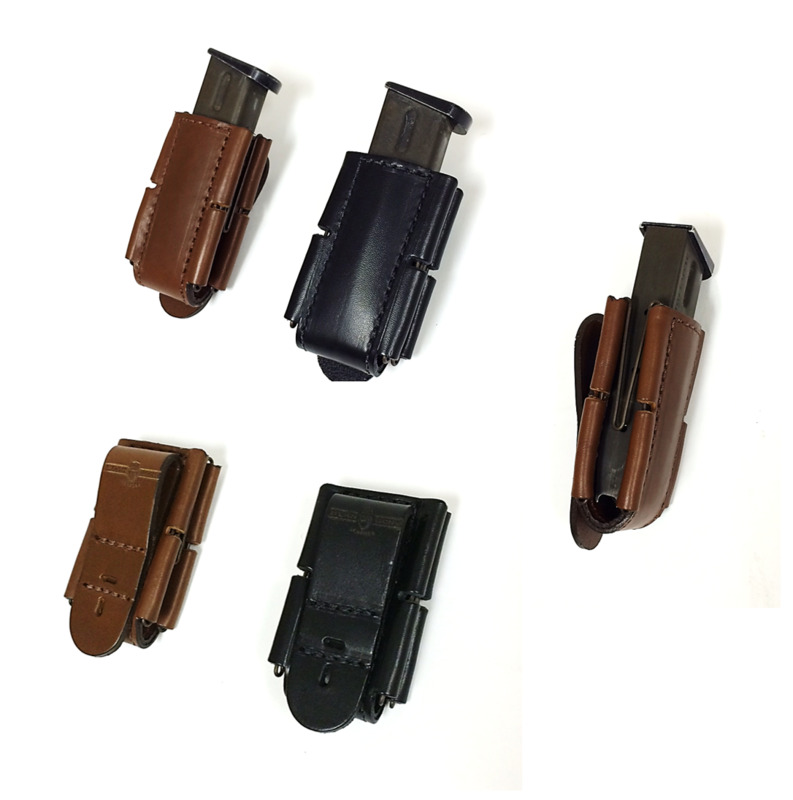 Almost every leather magazine pouch produced to date is limited to either a single or a double stacked magazine. 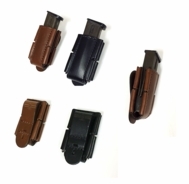 The “Burrito” now gives the user to choose a majority of single or double stacked magazines without having to purchase multiple pouches. The “Burrito” allows you to carry other items such as flashlight and other similar sized items. 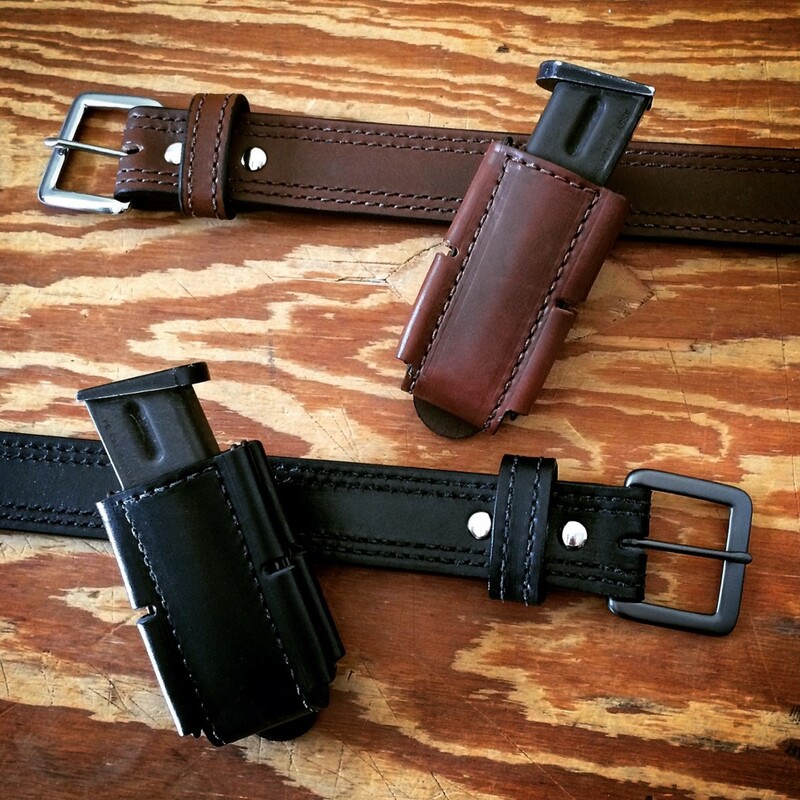 These pouches have triple stitching on the leather loops to fit 1.5-inch belts. *Springs made in the US, constructed of Heat Treated 17-4 Stainless steel. *And more importantly, Made by the person whom Invented and brought you the First Positive Bungee cord retention magazine pouch!